The Indian telecom sector is in the midst of an upheaval with operators looking to make more revenue even as tariffs continue to drop for users. The Department of Telecom had issued its guidelines on “virtual network operators” nearly two years ago so operators could license their services to smaller players. 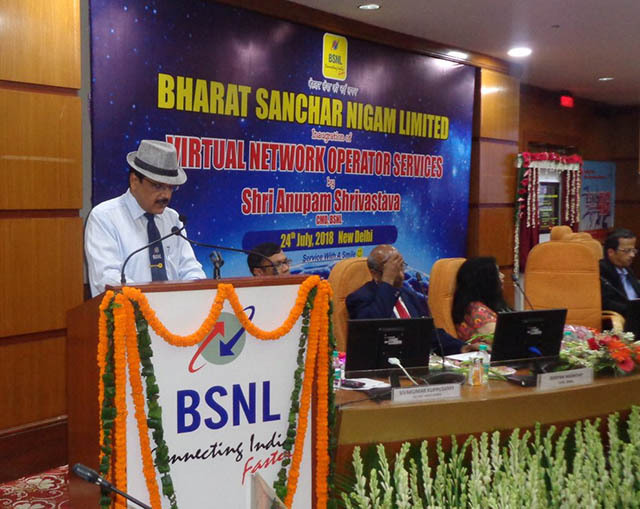 There has hardly been any activity in the niche since the DoT’s announcement dating back to May 2016, but the state-run operator BSNL has now announced India’s first two virtual network operators for consumers. Virtual network operators (VNO) are typically smaller companies which do not own telecom infrastructure themselves but buy services such as bandwidth for data services as well as minutes and texts. These services are bought or licensed from bigger operators, which in this case is BSNL. To clarify, BSNL is not the first operator to offer VNO services. Reliance Communication, after shutting down its consumer services, started offering B2B services as VNO via Reliance Jio. This makes BNSL India’s first operator to offer VNO services in the consumer domain. The smaller operators which have partnered with BSNL as VNOs are AdPay (under AEROVOYCE) and Plintron. AdPay is a provider of services like Mobile Payments, broadband internet, VAS etc. The company will focus on providing services in tier-II and tier-III towns and also aims to connect all the rural areas of India to a telecom network. Meanwhile, the other operator i.e. Plintron will offer services dedicated to the Internet of Things (IoT), with a special brand eSIM4Things. The services will include SIM and connectivity offerings for smart IoT devices and also assist in creating and improving IoT applications for end users. The biggest benefit of a VNO is that it allows service providers of all sizes and scale to act as telecom operators. They need not fulfill the requirements for a bank guarantee of Rs. 100 crore which a telco is liable to pay when they apply for a spectrum license. This means that operators can offer more financially appropriate and attractive deals to users. This means that the VNOs chartered by BSNL can offer plans at even more effective prices than what the current telecom industry is offering. Moreover, these plans can be modified based on the region, allowing VNOs to target and woo more customers.